BROOKLYN, N.Y.--(BUSINESS WIRE)--Apr. 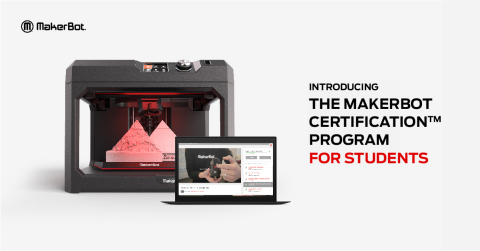 2, 2019-- MakerBot, a global leader in 3D printing, bridges the 3D printing skills gap with the launch of the MakerBot Certification™ Program for Students. This certification program gives middle school and high school students a proven edge with hands-on design thinking and 3D printing skills training.